Hi, just a quick thread. I'm 22, I joint the royal marines at 16 and basically got injured during my 32 week training got placed in hunter company and was later discharged.I have never really found anything to replace the buzz and then recently came across airsoft, but most of my pals will never give it a go so I'm trying to meet a few new geezas and get into a new hobby.Any fellas in south london area who have any recommendations of places? and lastly is airsofting on your own classed as sad? Don't worry if you can't find anyone to go with as airsofters are some of the friendliest folks I know! All of the people I play with I've either met over a forum, facebook or at games and are now good friends! Know how you feel mate, I felt the same at first! 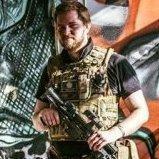 I live in SE london and go airsofting by my self as its not something any of my friends are interested in. Airsofters on the whole are all very friendly, after all we're all here for the same reason and thats common ground we share which means we'll always have something to discuss! I frequent TWA's two sites in Croydon and Annerley; very friendly bunch at both sites ( There tends to be regulars who go to both all the time) and I made mates on my first time there! Going alone shouldn't be a problem. The UK airsoft community are very friendly! I spent the first 6 months of playing going alone. admittedly i only went to about 6 games in that time. Then I met a few lads at my local site (for 6 months i had no idea it was there and 5 miles from me!!) have not looked back. So in 8 months I went from billy no mates to meeting loads of new mates and joining a team! Airsoft in general is very friendly and i always had people to chat with. BUT as in everything you will get the elitists that are tw4ts and will look down on everyone that is not them. I found the guys in my team by going on my own, and now consider them some of my best mates. In Short i wouldn't bother worrying about it just go have fun! Kinda along the lines of what Craiq said, in game who you go with actually means surprisingly little as you'll all be mixed up. And in the safe zone everyone is up for a chat! I went to my first couple of skirmishes on my own. On my first game I soon teamed up with an armed response copper which was interesting. After that I just bugged my friends until they agreed to go. The first one who went has never mentioned it since which may have been due to the huge, bleeding, red welt in the middle of his forehead he got got during the first game Another mate loved it though and will be coming along to my next skirmish. Its a bit off subject but where ever you go and what ever you do you can always make friends. i believe "life is what you make it"
in my experience first time some thing similar happened to me i was the only person who applied for an outward bound place on a local funded outing. I made loads of friends and one of which was in the cadets this lead me to 10 years in the cadets and 4 of those as an instructor. While in the cadets i applied and got places that no one from my unit went to and loved every minute of it. now i am looking into the airsoft world to see where that leads me! and made some new friends just on this site alone. I have met some great mates through airsoft. As long as you go and have fun you will be fine. Shame we all think your a t**t! Going alone has it's benefits you don't have to worry about anyone else and can get on with your own game. If you want to make chat in between simply approach the guy with the biggest/most expensive looking gear and tell him how awesome it is. Bingo! Instaconversation! I went with 2 guys I met at Cadets, turns out 5 of their friends who were also there are avid 'softers. I was accepted into this existing group fairly quickly after giving the 2 newer guys advice on what to buy for their 1st loadout, so this just shows that by putting a lot into something you'll get the same, if not more in return for your effort. Cheers fellas, does anyone know of any great places in south london?